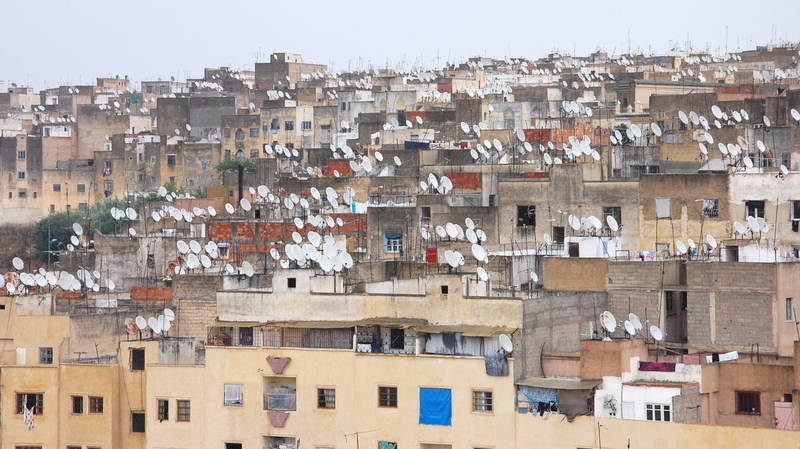 Fes is Morocco’s second largest city, after Casablanca, with a population of about 1 million people. 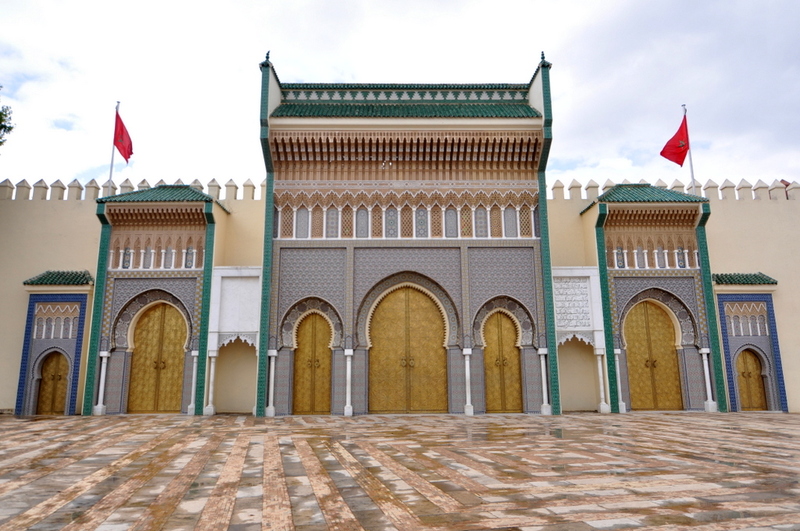 It was the last of four imperial cities on our guided bus tour, the others being Rabat, Marrakesh, and Meknes which we had visited earlier. 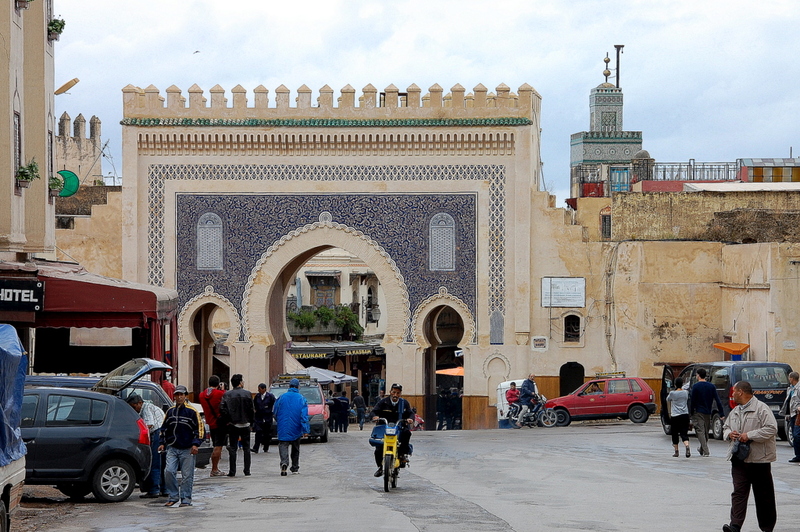 The old walled city, Fes el Bali, is believed to be the worlds largest contiguous car-free urban area. 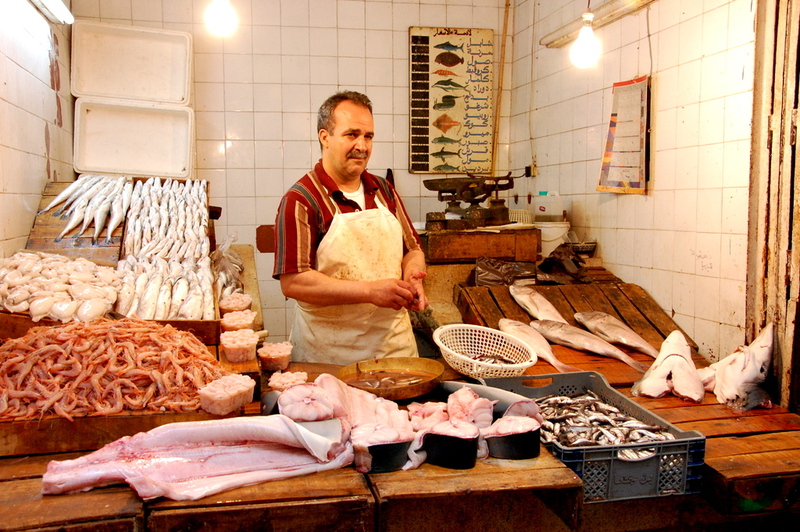 Navigating the maze of markets and small shops is not easy and we experienced this the hard way. 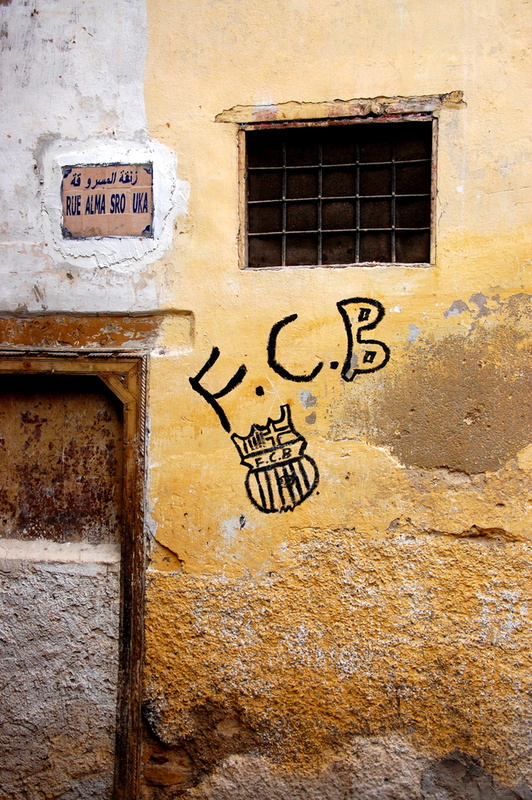 While bargaining a price for a leather bag we fell behind our tour group and before we knew it we were lost. Some ‘friendly’ vendors told us that the Polish group went that way but both Karolina and I did not feel safe being told where to go by complete strangers. We eventually noticed our group from a distance and were able to stop running… but it was not a pleasant experience. There probably wasn’t much to be afraid of, but I’ve read enough mystery books to imagine how easy it would be to simply disappear in a place like that. With a group, however, there was nothing to worry about. 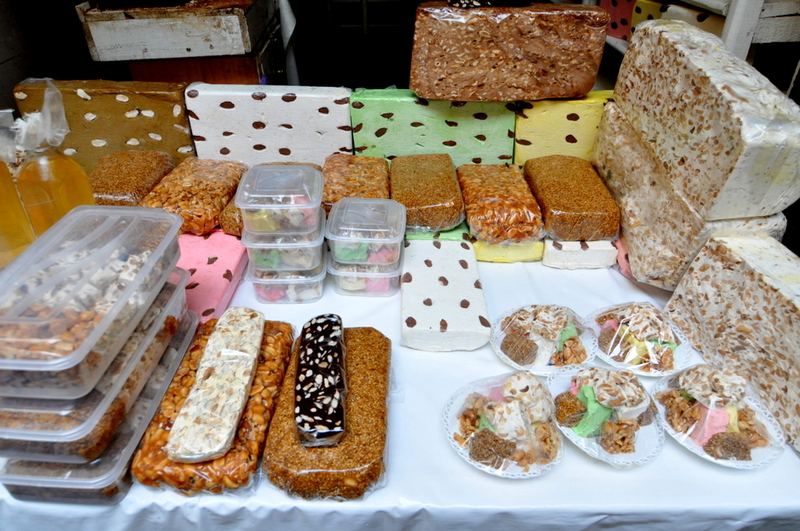 Most vendors were really happy to see tourists offering great prices and bargains just for you. Some would follow us for miles with an item in hand dropping the price with every step. The trick here seemed to be keeping the ‘walker’ interested, as if you really wanted the item, but didn’t feel comfortable with the price and simply kept on walking; if you really wanted to buy it, the distance walked was on your side. 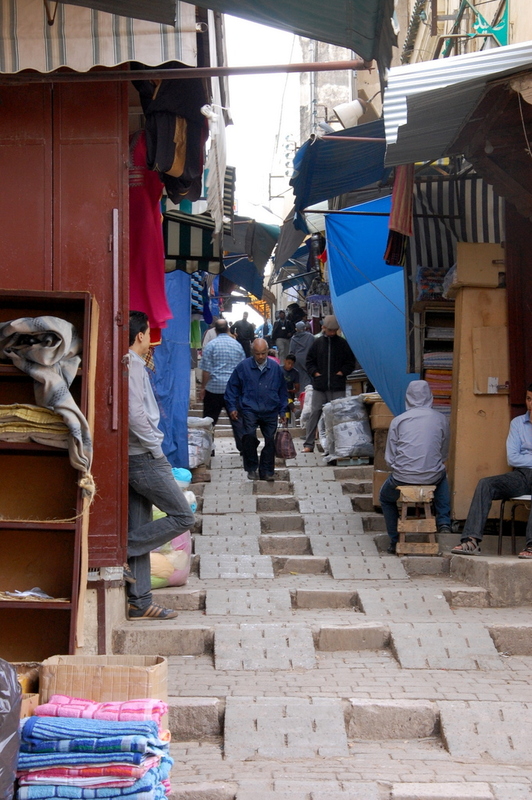 The more annoying street sellers were the ones where I specifically said “NO” in a very firm voice, and kept saying it for 20 more minutes as we walked around the medina. 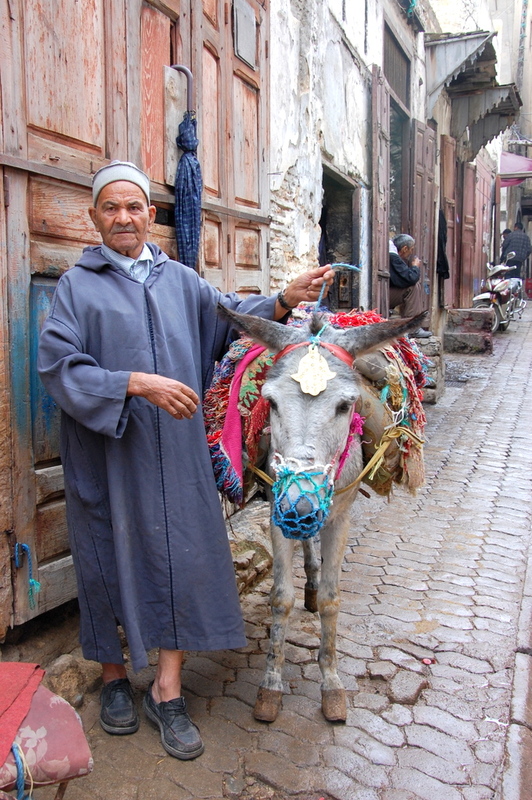 When walking through the narrow streets of the market keep an eye out, and your ears wide open as well, for donkeys packed with merchandise. At times you might not even see it, but you’ll be sure to hear a loud “Bollock” from the person walking the donkey trough the market. Donkeys are the only way of making deliveries here and they’ll keep on walking no matter what’s in their way. 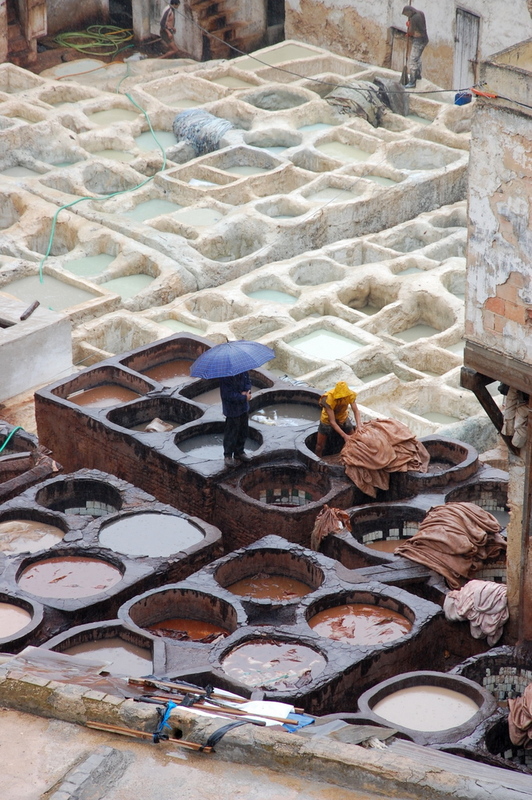 An incredible site to see were the leather tanneries in Fes. 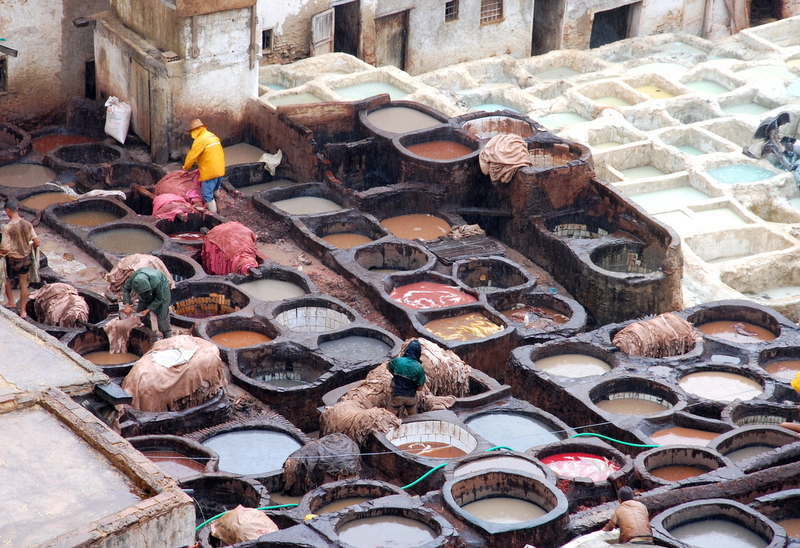 Our tour guide took us to place selling everything leather from a tannery we saw down below. Before entering the shop everyone was given couple of mint leafs and we were told to stuff ’em up our noses. “Gas mask” – said the person handing out the leafs, oddly enough he also said it in Polish! 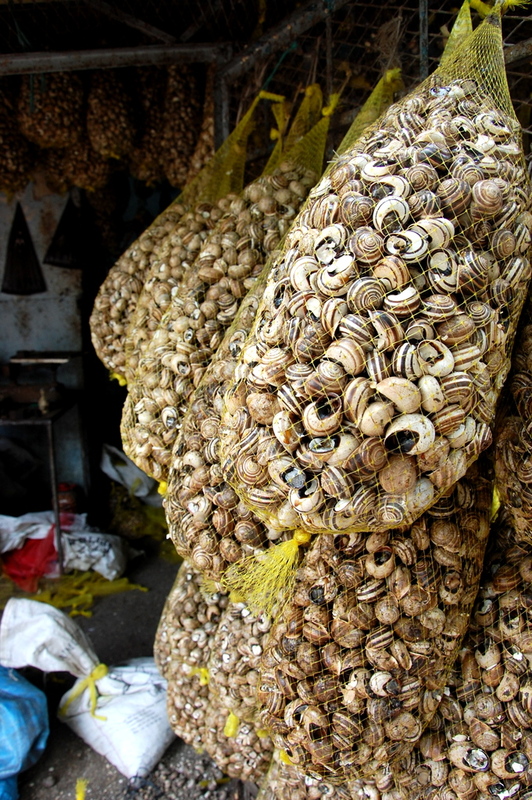 What seemed as a funny idea at first, soon was a God sent as the stench of leather was unbelievably strong throughout. 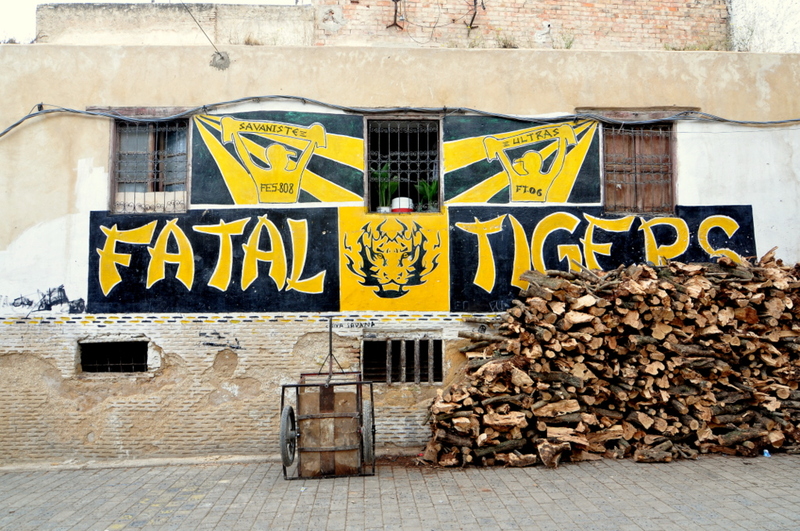 Everything around us was fresh, real leather, and it all stank alike. Showing interest in any single item was a bad idea and before we knew it one of the salesmen there would have us touching it, making sure it was real, burning it with a cigarette lighter showing us it’s genuine leather, and asking us how much it was worth to us. 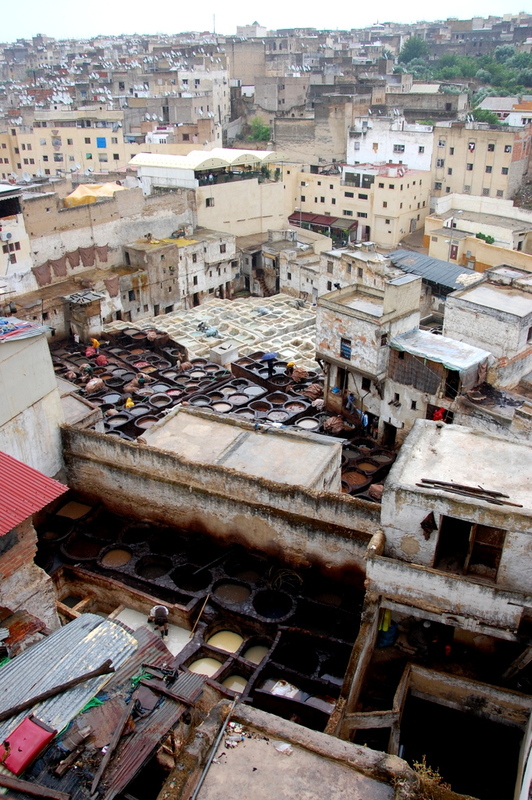 We bargained down a purse from 50 euros to 25, but not without first being told that they would never sell that cheap, and that people working down below in the tannery are living off of what we spend there so it is important we spend as much as possible! Eventually, as we were leaving the shop, the price was set at 25. We also visited a fabric shop where the assortment of colors was unbelievable. 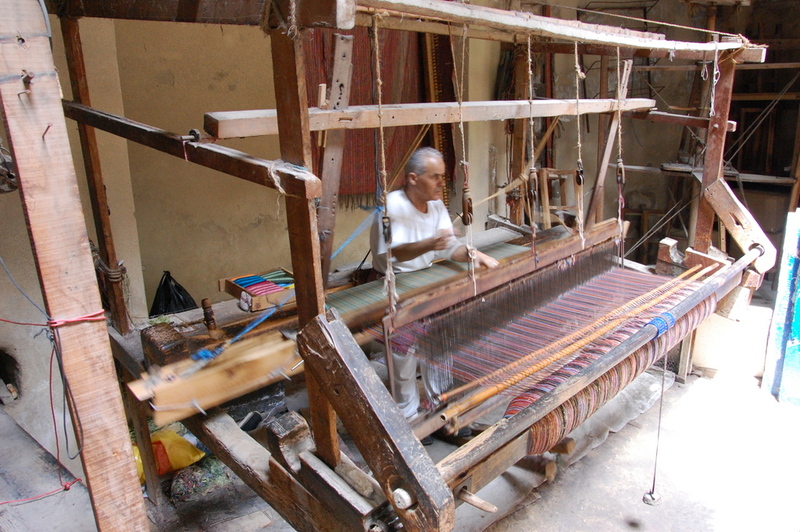 Also impressive were the weavers that were doing it all right before our eyes. 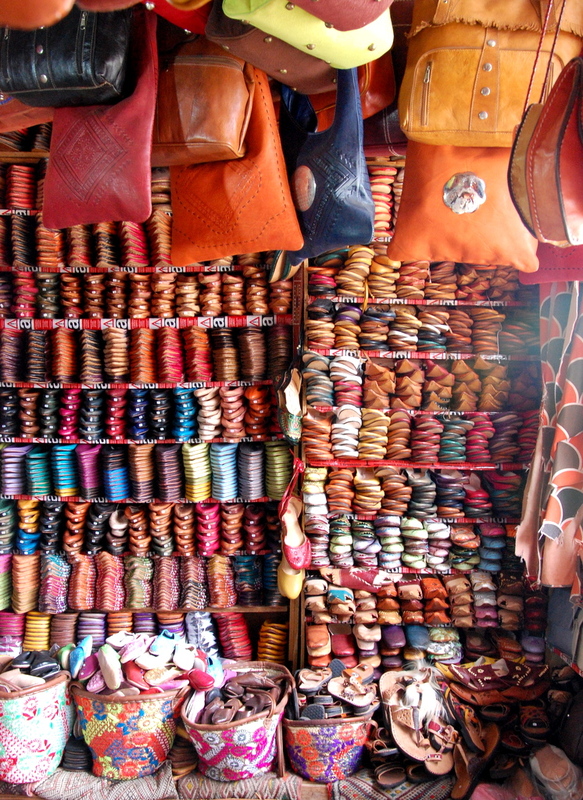 It’s hard to pick an authentic souvenir in Morocco as Chinese made stuff is hard to distinguish at times from the real deal, but when you see a person weaving your scarf it’s definitely worth the few extra bucks they’re asking for. Tuareg blue is what Karolina got. 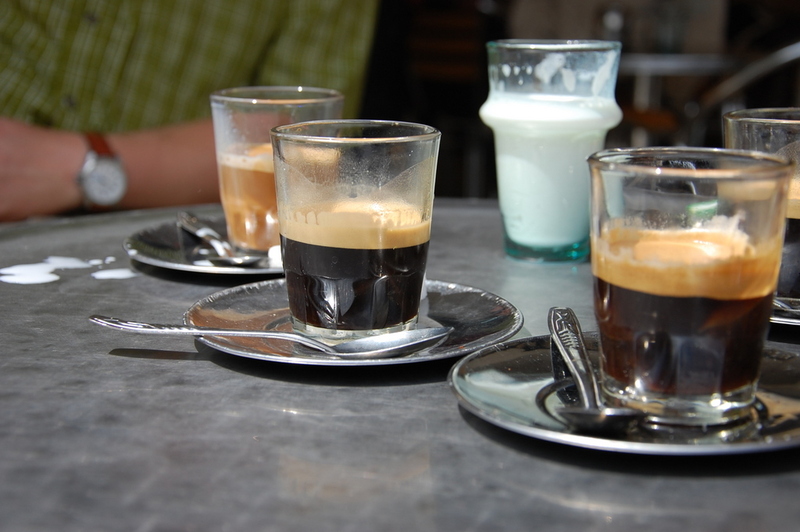 We finished the day with a shot of espresso. 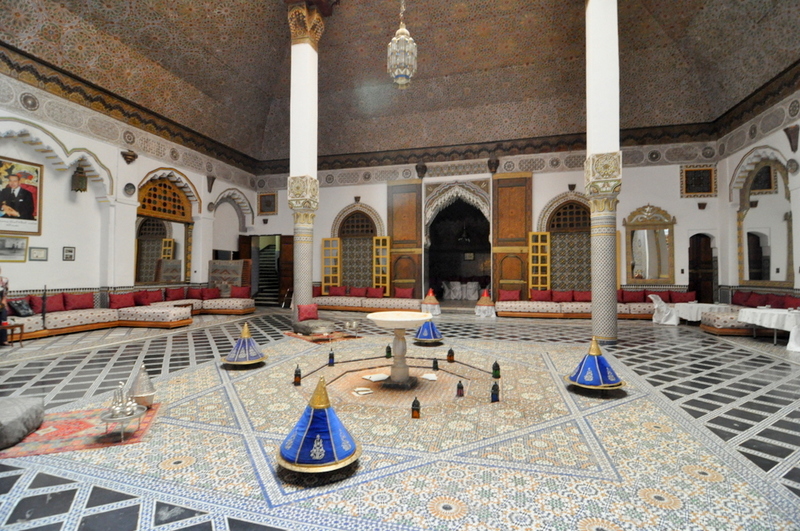 I think Fes was one of the best days on our tour. 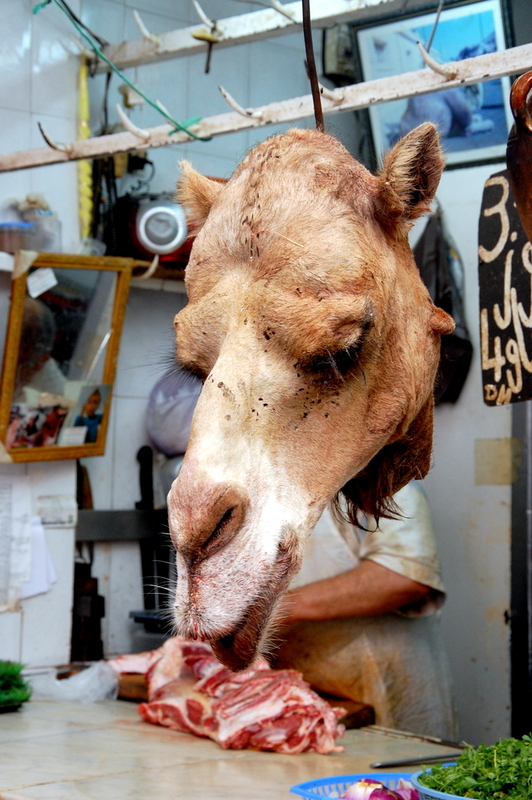 Love the photos – I’ve never seen a camels head hanging on a hook before!